Uh-Oh… here we go again ! Well… it appears Mr. Steven Samblis is in a bit of a legal pickle again. Apparently he is being sued again. 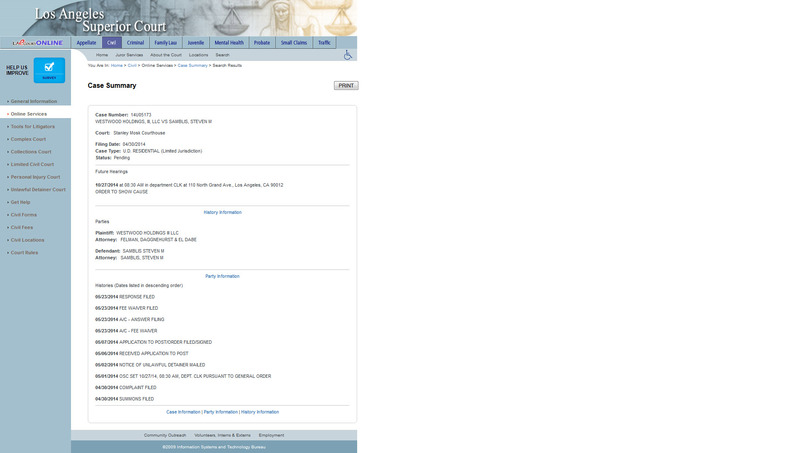 The below attached graphic was obtained from the Los Angles Superior Court website (click to enlarge). It appears this is a current and ongoing legal action, with an appearance due on 10/27/2014 at 8:30a for an order to show cause. It refers to Case Number: 14U05173 – WESTWOOD HOLDINGS, III, LLC VS SAMBLIS, STEVEN M. Not a lot is known about this action yet, as the investigation is still ongoing. We have attempted to contact the plaintiff attorney, FELMAN, DAGGNEHURST & EL DABE, however as of this writing there has been no response. We are also pursuing the actual court documents filed with the court to obtain more details about the case details. A brief internet search for this firm returned the following results (again, click to enlarge). 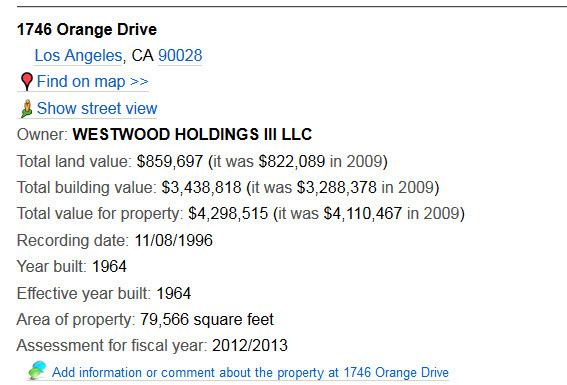 As can be seen by the graphic, they are “a Boutique law firm in Sherman Oaks handling landlord tenant law”. This information of course begs the question… is Mr. Samblis being thrown out of his home/apartment ? Now… if our speculations are correct, and Mr. Samblis is in fact being evicted from his apartment, one could reasonably assume it relates to a financial obligation such as overdue rent. One could also reasonably assume that if Mr. Samblis is having difficulty paying his rent, he would also be having difficulty paying for the cost of filing the 2nd. quarter corporate filings. In our most recent post we speculated as to the most likely reason Mr. Samblis has not filed the report yet. Of course one could suppose Mr. Samblis spent the rent money on the cost of preparing the report, however that is unlikely because the cost of the filing preparation (accounting work) is likely to far exceed a few months rent. Stay tuned folks, hopefully more information will be discovered about Mr. Samblis’s financial situation. Perhaps the court documents will offer a window into Mr. Samblis’s finances. Perhaps investors may learn the whereabouts of any revenue associated with Mr. Samblis and/or IC Places, Inc. Wouldn’t that be something… if it took a landlord/tenant dispute to learn about Mr. Samblis’s finances. If anything were to be learned as a result of this action, it certainly would be troublesome if any financial information that were to be uncovered in this action were to be in conflict with any previously filed SEC reports. Oh-my !